Note: All photos in this post are copyright Sean McCann. Yesterday, for the final day of Arachtober, Sean and I went to Tommy Thompson park in Toronto to look for some autumn arachnids and other arthropods. 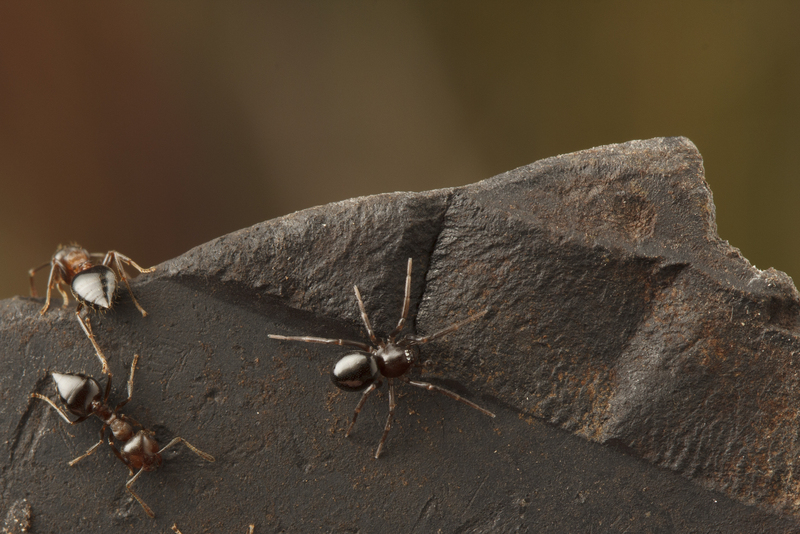 Sean was very excited when he turned over a rock and found a nest of acrobat ants, Crematogaster cerasi. The genus Crematogaster is mainly tropical, and we didn’t have them back in BC, so it was a pretty cool find for us. Then we took a closer look at the ants running around under the rock. 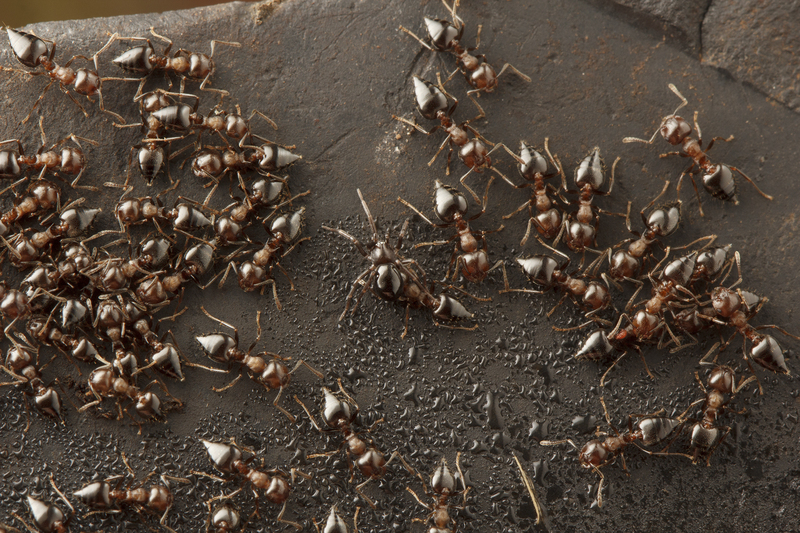 One of these ants is not like the others! 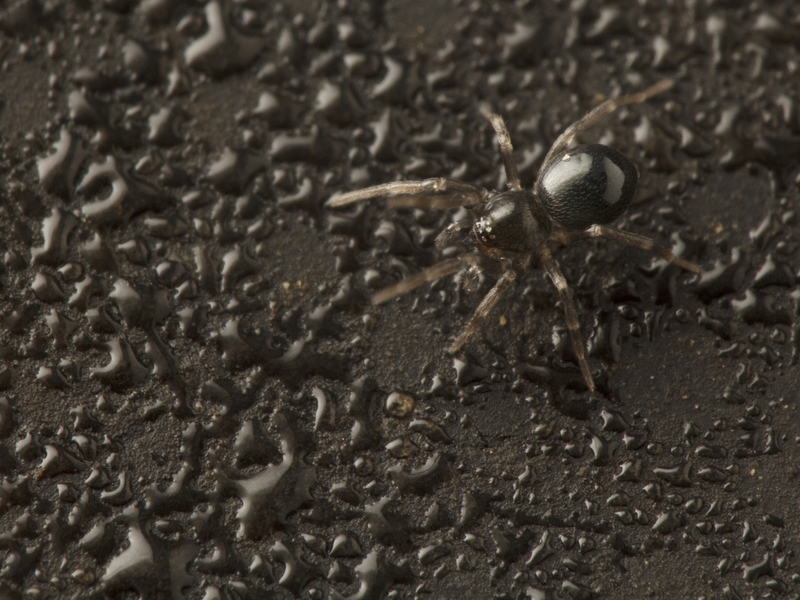 The interloper is a myrmecophilic spider in the family Phrurolithidae – probably Phruronellus formica. Athough they are not modified to look especially ant-like in shape, their shiny black abdomens certainly help them to blend in with the colony. Hey look, there’s another one! Although we were almost fooled by the imperfect ant-mimicry of these spiders, ants rely much more on smell and touch than vision, so looking a bit ant-like wouldn’t do much to help them fit in. It may, however, provide some protection against predators that find ants distasteful or difficult to eat. 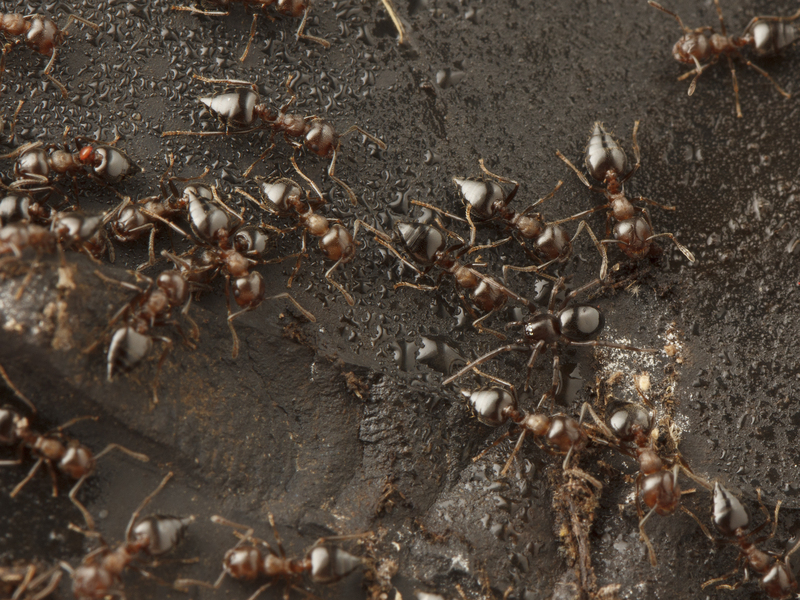 Not much is known about their natural history, but Phruronellus formica is thought to be an obligate associate of ants in the genus Crematogaster [1,2]. If they are disturbed, they disappear into the ants’ nest. This implies that the spiders are not only not recognized as intruders by the ants, but are tolerated by their hosts. 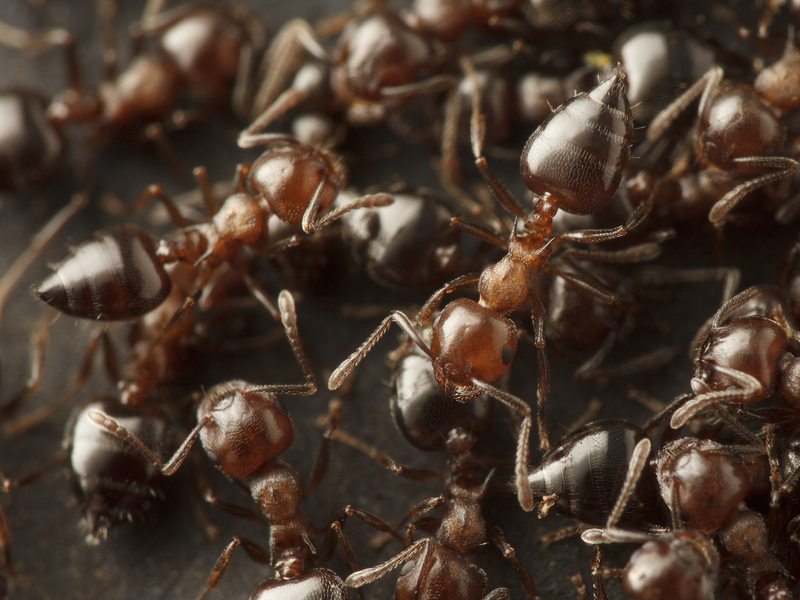 Presumably they produce or acquire compounds that allow them to wander freely among the ants, who recognize their nest-mates by their colony-specific chemical profile. 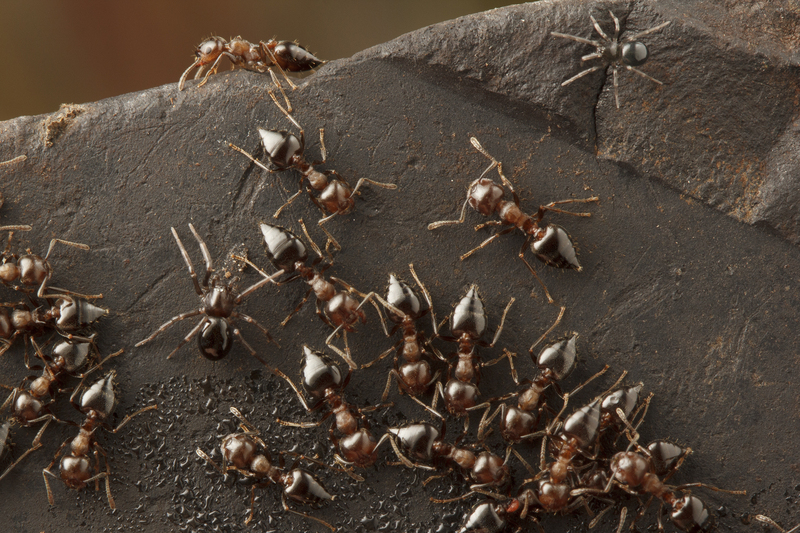 The relationship between Phruronellus formica and Crematogaster has not been studied, but based on what is known about other spider-ant associations [2,3], we can infer a bit about how this arrangement benefits the spiders. Living amongst ants can provide spiders with a comfortable home, free food, and protection from enemies. Myrmecophilic spiders are known to prey on other ant-associates (like collembolans), prey brought back to the colony by their ant hosts, or even the ants themselves. 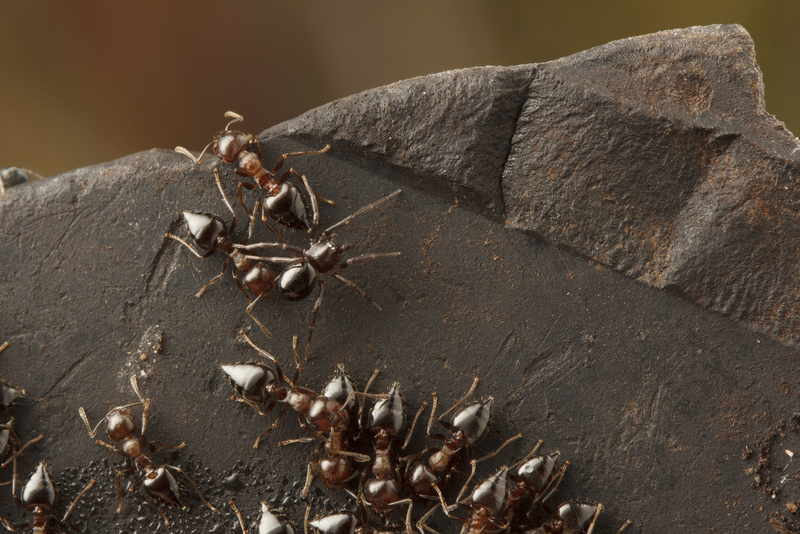 Ants are also fierce defenders, armed with stings or noxious defensive chemicals to protect the colony (and, incidentally, the spiders within it) from predators. This doesn’t seem like a very good deal for the ants – at best, the spiders have no effect on them, and at worst, they are stealing food or preying on their hosts or their beneficial symbionts . But the number of spiders in any colony is so small (we saw two among hundreds of ants, in a colony that probably has about 2000 workers) that they are probably not harmful enough to make it worth the ants’ while to do anything about them.